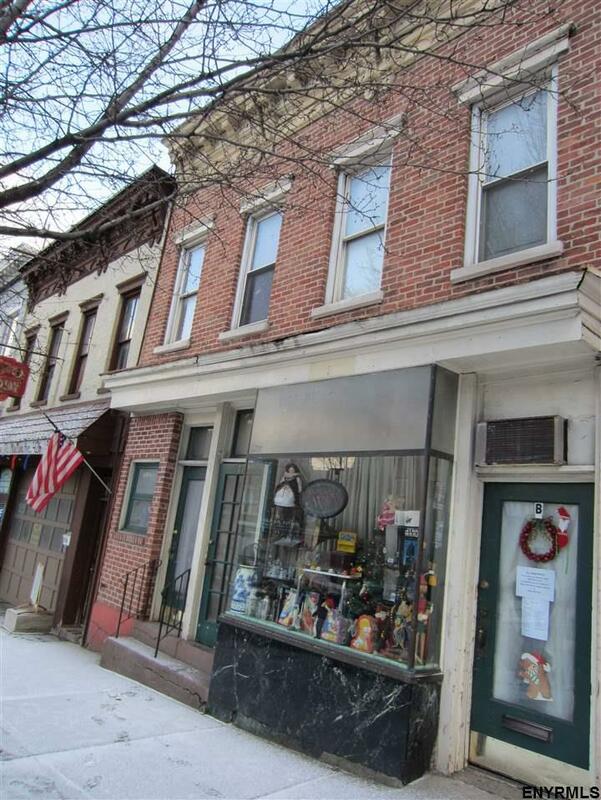 Prime Business Location:10' tin ceilings, 1/2 BA, huge rear expansion/storage area with skylight. SMALL OFFICE/store-left side. UPSTAIRS:2 Apartments with dishwashers. (1 & 2BD) State of the art furnace. PRIME LOCATION near Governor's Mansion & NYS Museum. 1st floor stores at street level. Tenants require 24 hr notice, rest of building, same-day showing. Owner pays heat. Tenants pay hot water & electric. Store, hallway & basement electric on one meter. $31/mo. Owner's property being stored on 1st Fl.